Our backyard in the snow. I have to admit it’s a pretty sight, although I’d still rather be in Arizona. The snow almost reached Lily’s belly! 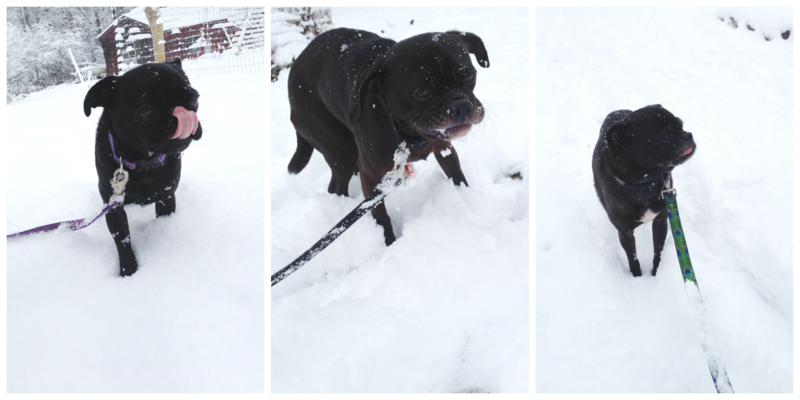 Walter hates being in the snow, but Norman enjoys eating it. 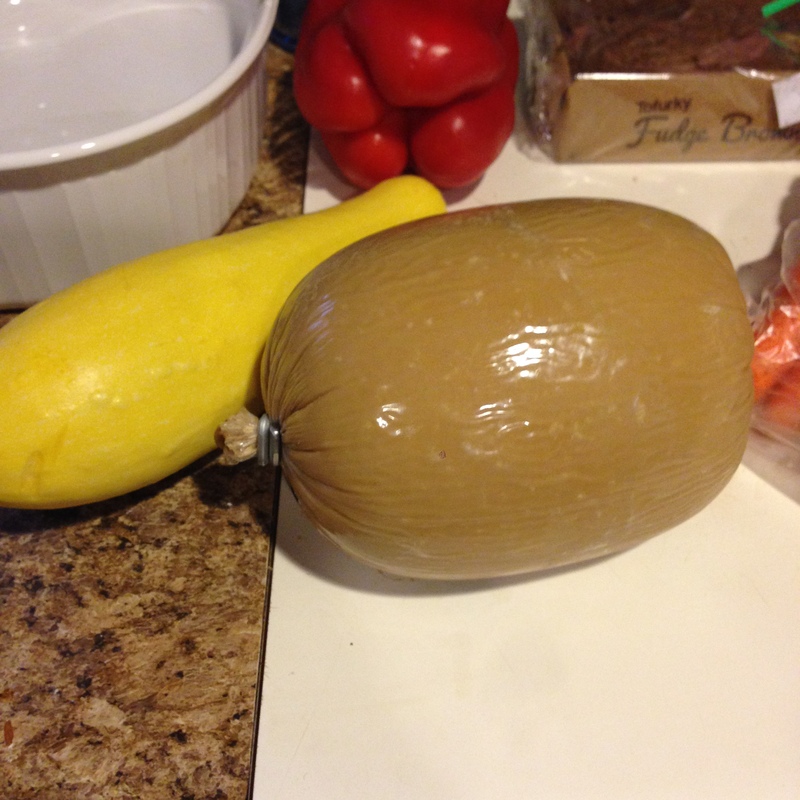 Of course, we had a tofurky, which is our traditional Thanksgiving meal. I had my first tofurky in 1998, just a few years after Turtle Island Foods was founded. I am thankful for them. 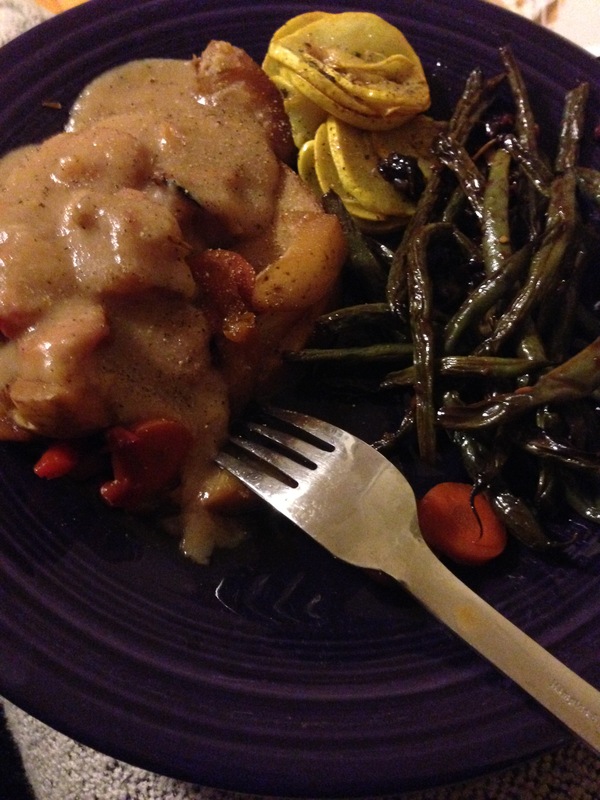 George didn’t want to bake a pie – fair enough, since he made dinner. 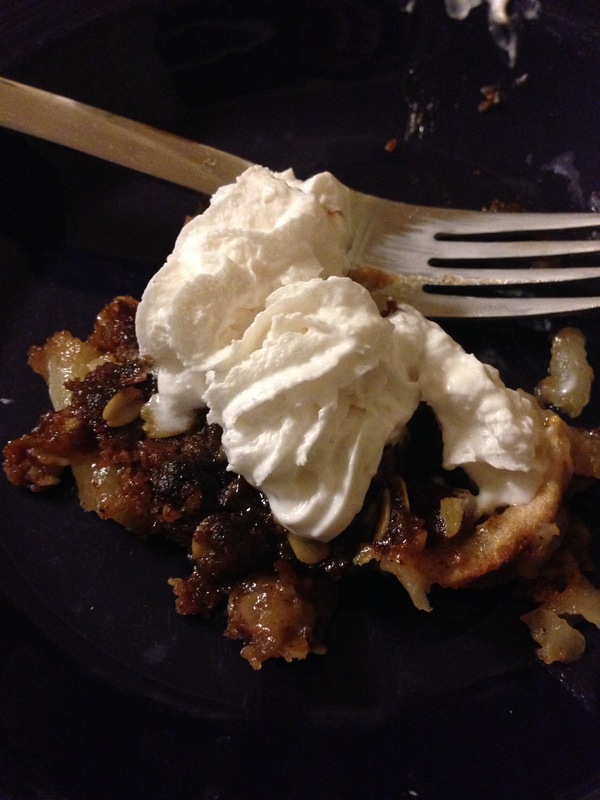 Since I wanted a desert with applies, I found this recipe: Microwave Apple Crisp. (I made the oven version.) The only modifications were using Earth Balance for the butter and reducing to three apples. Peeling, slicing and coring the apples was a breeze with my Pampered Chef Apple peeler. While I usually avoid single-use items, the apple peeler is so worth it. Pretty tasty!